Top Cherry Blossom Foods in Japan! 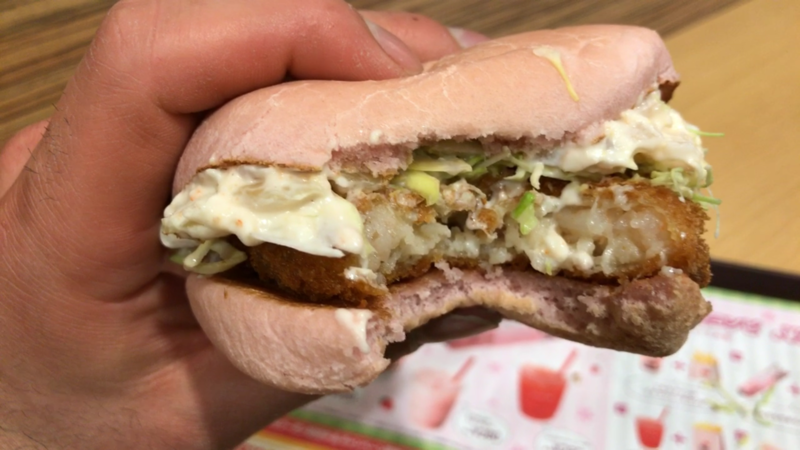 To get into the Cherry Blossom spirit, various fast food shops have limited edition sakura inspired food items each year. I went to the 3 different shops to see what they had in store. 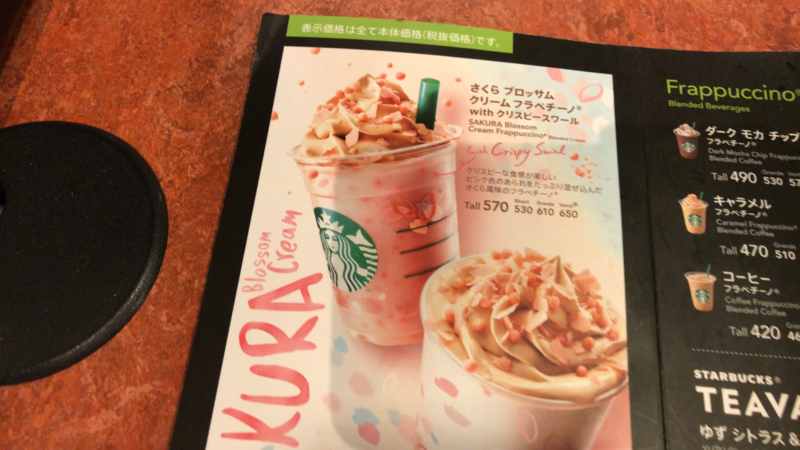 This years drink is called the "Sakura Blossom Cream Frappuccino with Crispy Swirl" and it will run you 570 yen to 650 yen, depending on what size you choose. At first glance, I was just amazed by this drink. 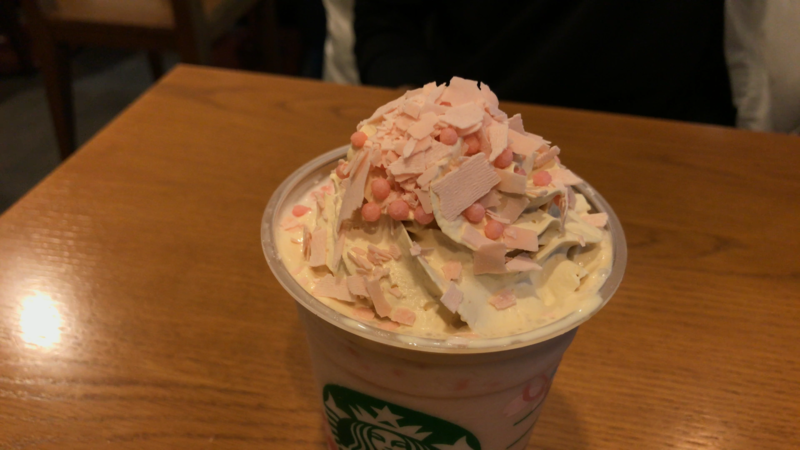 It is LOADED with cherry blossoms petals and crispy pink balls. The petals looked so realistic and beautiful. The pink petals are actually shaved chocolate! 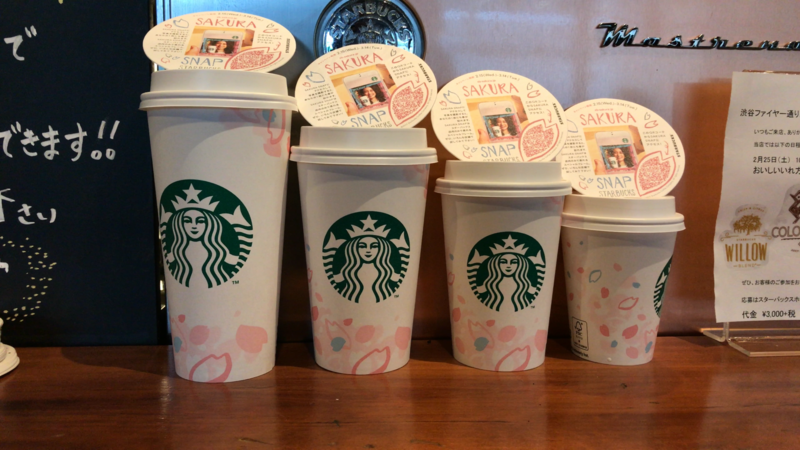 Starbucks even redesigned their coffee cups for the upcoming cherry blossom season. The whipped cream was delicious and is actually a maple flavored cream. The frappe was a vanilla base and tasted like a milkshake. 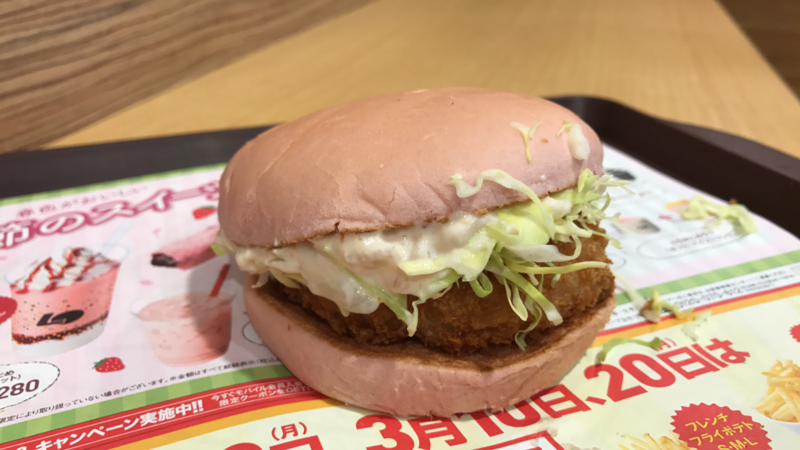 The notorious Japanese fast food chain, Lotteria, created some incredible items this year as well. They have quite an extensive cherry blossom inspired menu. I opted to try the Sakura Mochi Mochi An Pie (180 yen) and the Sakura Ebi Tartar Prawn Burger (380 yen). The mochi an pie was quite interesting. 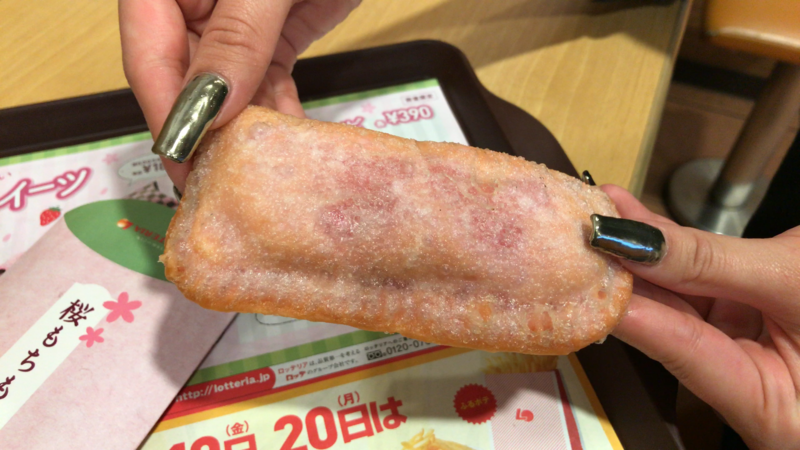 It is filled with a sweet red bean paste and mochi. The paste is sourced all the way from Hokkaido. 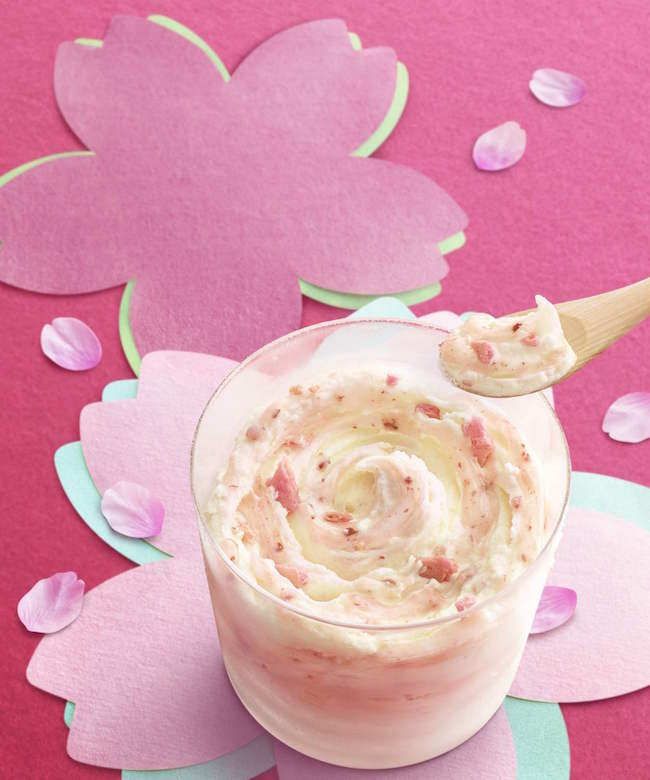 The crust is actually made from cherry blossoms and gives it a light pink color. The crust is crispy and it pairs well with the gooey mochi inside. It's quite large and filling! The Sakura Ebi Burger was the star of the show. Aside from just tasting really good, the bun was so pink! I had never seen anything like it before. The buns are blended with cherry blossoms to give them the pink hue. The inside of the burger was tasty. It's packed with a thick and creamy tartar sauce and tiny shrimp. 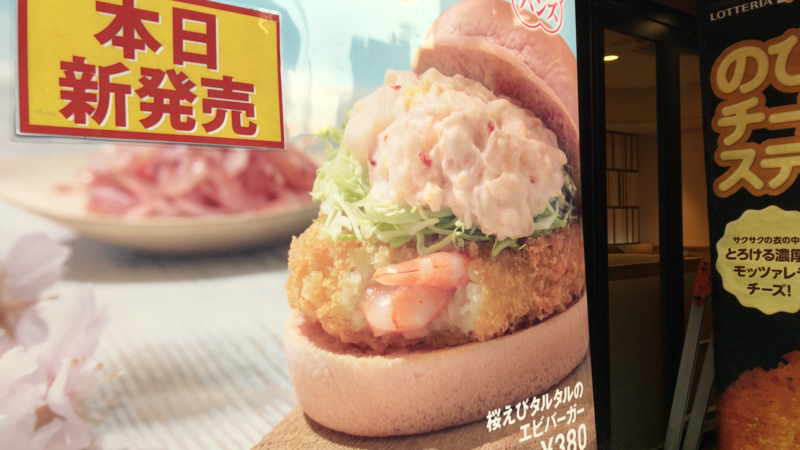 There is also a fried prawn patty covered with panko breadcrumbs. The burger is a bit on the expensive side when you take it's size in account, but then again, it's freaking pink! It should make an epic instagram post at the very least. 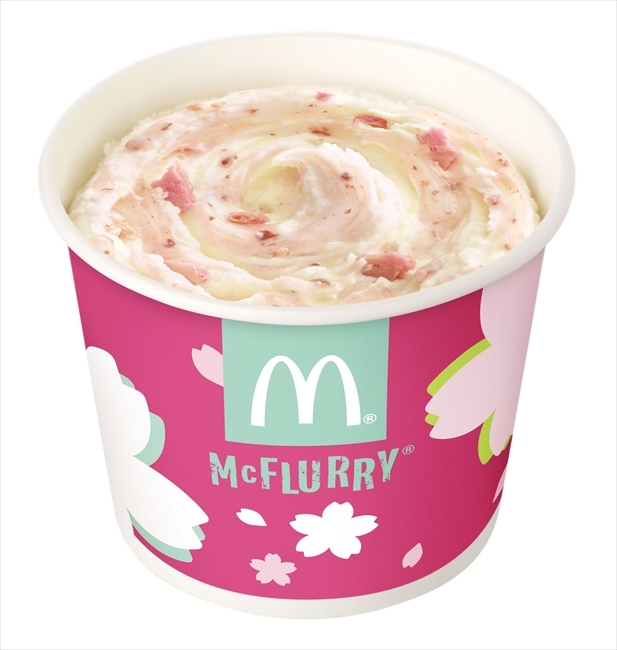 The dessert features McDonald's soft serve ice cream and a special pink sauce called with a "sakura mochi" taste. There are actual pieces of salt pickled cherry leaves blended with the ice cream. 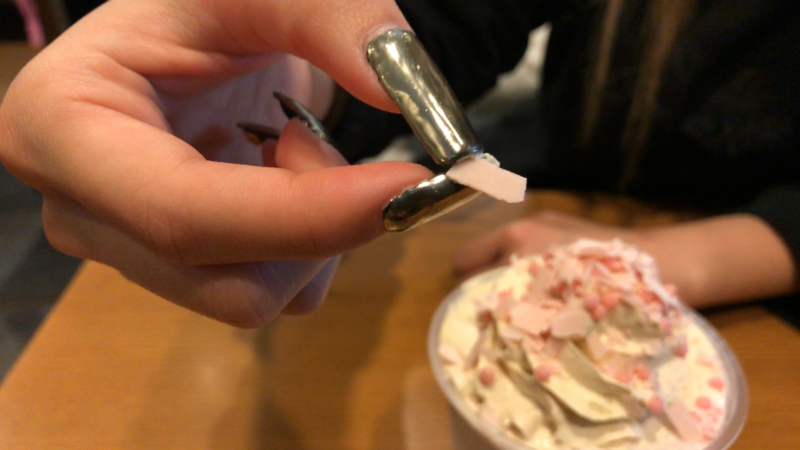 They have also thrown some pink waffle cone pieces for a nice crunch. Overall, it just mostly taste like ice cream with a bit of a texture. I preferred the Starbucks frappe over this one, but the McDonald's Mcflurry will save you some yen. 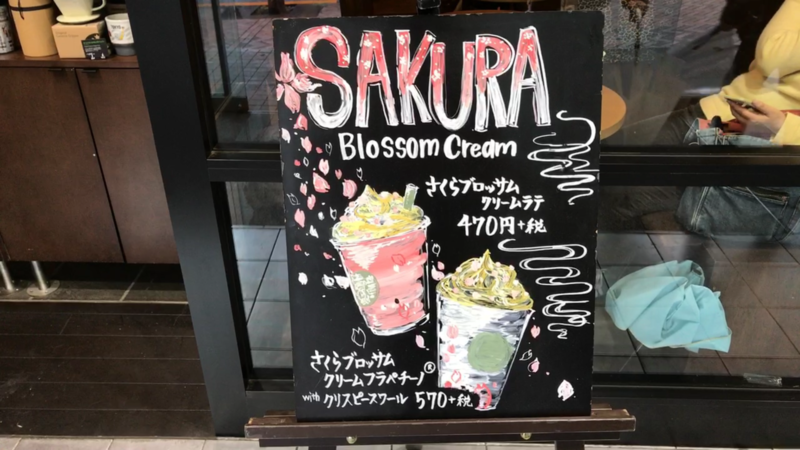 These are just a few places in Japan, but literally every shop seems to have hopped on the cherry blossom craze. 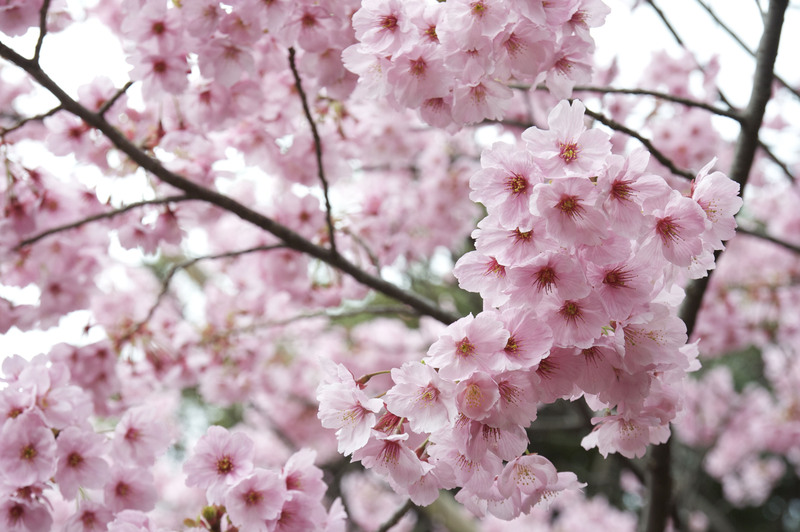 After all, cherry blossoms are only in full bloom for a single week out of the entire year. Let me know in the comments if you have anything else to add to the list! Hanami (cherry blossom or sakura viewing) time is here at last! Japan celebrates cherry blossoms and the coming of spring with a passion unmatched around the globe.